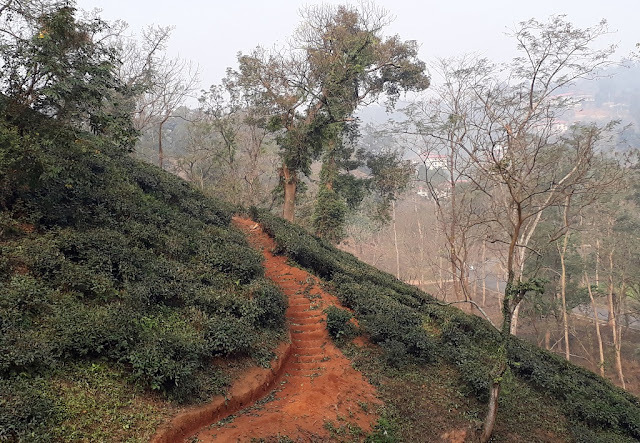 I got introduced to the land of 'red rivers and blue hills' during my recent visit to Rongali tourism festival that was held from January 19 to 21 2018 at Srimanta Sankaradeva Kalakshetra, Guwahati. RONGALI means amalgamation of varied colors of Assam explained Shyamkanu Mahanta, the chief organizer of the festival. It was undoubtedly a perfect platform for all tribes to come together and display their culture and talent. The highlights of the festival were music and folk dance performances, Bhaona, local food stalls and fashion shows by talented designers of Assam. After experiencing a small slice of Assam at this festival I was excited to visit this beautiful land of tribal people. Below are a few things that caught my attention during my exploration of Assam. The exclusive art of making homespun masks and of weaving gorgeous silk Mekhlas; the simple yet delicious healthy food; it's natural heritage of one-horned Rhinos and Assam tea; and the neo-vaisvanite culture and the tradition of satras - all these things are unique to Assam and cannot be experienced elsewhere in the whole world. Assamese cuisine is known for its simplicity and is best represented by various tribes who dwell in this beautiful land. Rice is the staple food and sides are cooked with lot of herbs, green vegetables, fish and poultry most of which is produced at home. A general Assamese meal starts with khar. It is alkaline in nature and cleanses the palate. There are a variety of lentils and fishes cooked with herbs and green veg. 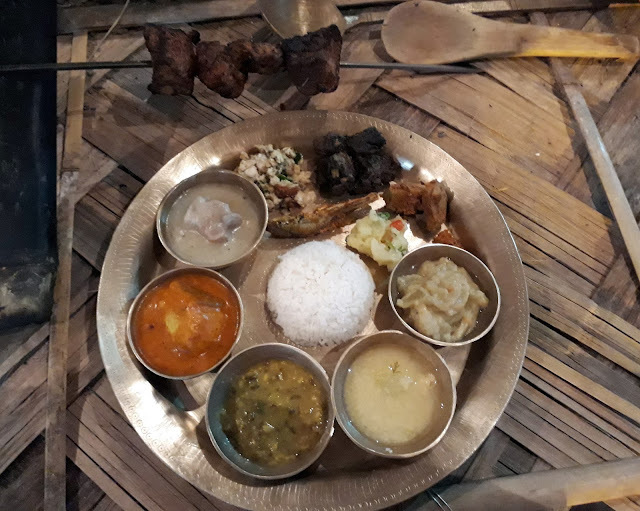 Another main dish is meat that varies from chicken and duck to mutton and pigeon to pork depending on the which part of Assam you are at. You must try Bodo and Mishing thali. A quick visit to Sualkuchi, situated on the north bank of the river Brahmaputra, will introduce you to the art of weaving silk. Beautiful mekhla chadar is something every women would love to have in her wardrobe. 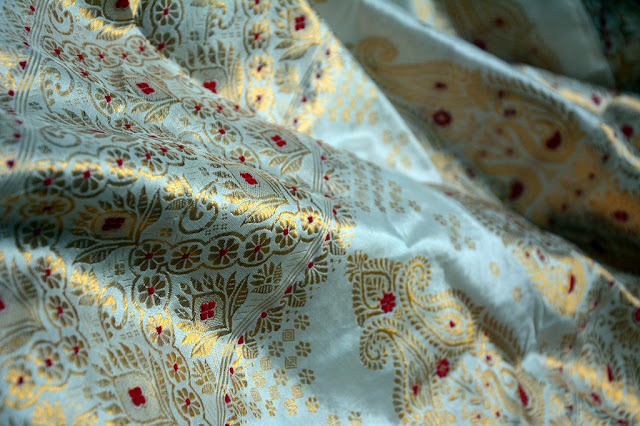 There are three major types of indigenous silks produced in Assam—golden Muga, white Pat and warm Eri silk. Muga is known for its glossy fine texture and durability. This silk can be hand-washed with its luster increasing after every wash. Pat is usually brilliant white or off-white in colour while Eri silk is soft and warm and is primarily used to make shawls and quilts. Assam witnessed a great movement of Vaishnavism under guru Sankardeva in the Middle Ages. The Satra were then established by the gurus where single minded vaisnavas resided. The satras consist of a large prayer hall facing a simple shrine, surrounded by dormitories for monks. And each satra specialize in certain craft and also acts as a cultural centre for its locality. Today, there are over five hundred satras and numerous vaisnava households are affiliated to one or the other Satra. Satras are treasure troves of cultural artifacts, manuscripts and antiques. I visited a few sattras in Majuli and found them ultimately peaceful. The prayers echoing in the huge central halls; the display of ancient artifacts, old utensils, jewelry and handicrafts; the smiling bhakats all of this transported me to a different world all together. 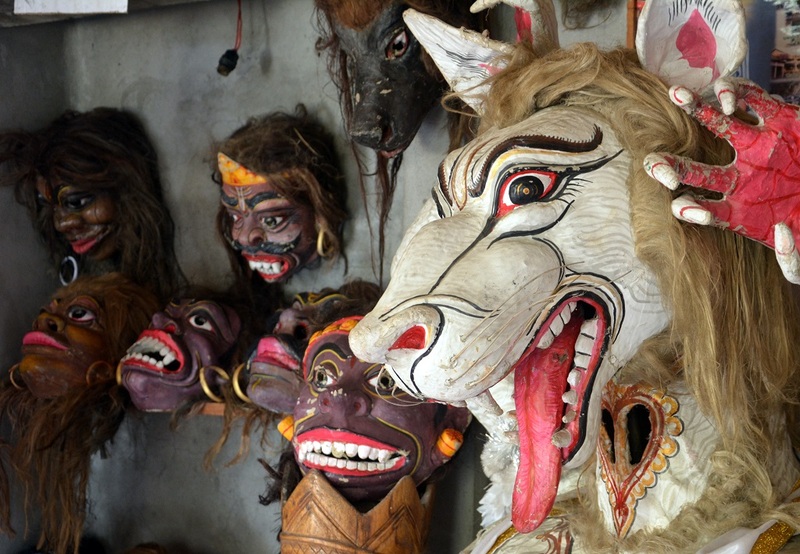 Maskmaking is a well known traditional craft of Majuli mainly practiced by Chamaguri sattra. Masks are made out of bamboo, cloth, clay and colors and are used for the religious dance drams mainly raas leela festival and bhaona. 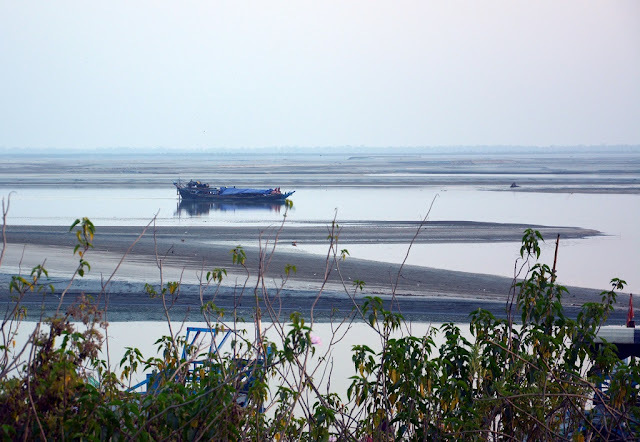 A ferry from Nimatighat, Jorhat will take you to this river island formed due to course changes by River Brahmputra and its tributaries. It is supposedly the largest River island of the world. It is the hub of neo-Vaishnavite culture and spirituality, spread by 15th century social-reformer Sankardev. But it is disappearing fast. From the area of 1,200 square kilometres at the beginning of the 20th century now it just covers around 300 square kilometres. Studies predict that the island might disappear in another 20 yrs. So you must plan to visit Majuli before it disappears. The visit to Assam is incomplete without having seen the pride of Assam - One horned Rhino. It is one of the rarest mammal in the world and Kaziranga National park has the world's largest population of them. Go on early morning safari to witness this majestic animal in its natural habitat. Do try the strong Assam black tea while you are there and do not forget to buy some as you won't get this quality anywhere else in the world. It is known for its strong, bold, brisk, malty flavor. The state of Assam is the world's largest tea-growing region. I was amazed to see the traditional mishing houses known as 'Chang Ghar' that are constructed on a raised platform. Floor, ceiling and walls are made of bamboo and have thatched top. They stand on four pillars to prevent flooding in the house during monsoon. High precipitation and moisture content both in the air and in the soil is another reason to design houses on stilts. The lower part of the house is used to rear animals. You will be welcomed by a warm smile and will be offered tea and sweets. Your journey to Assam will be incomplete without tasting home-brewed rice beer. It is traditionally prepared by fermenting rice and is a day to day drink for local people. It is prepared in every household of the tribe. Folklore says that people of the Mishing tribe came together to drink the ceremonial beer (Apong) to put an end to all their communal conflicts and restore peace and harmony. 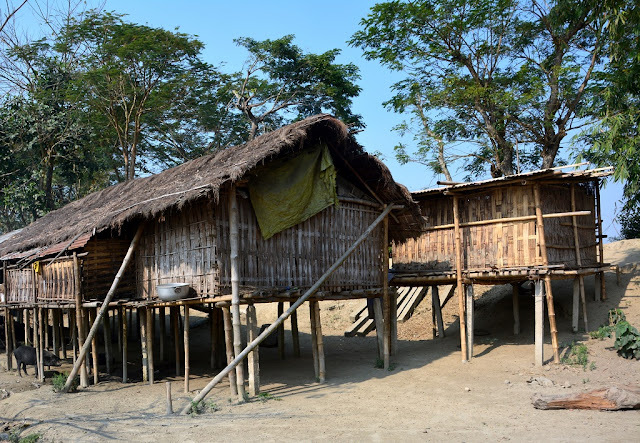 Apong is considered a cultural heritage of this indigenous tribe of Assam. There is another variety of beer called Xaj which is made of fermented rice and a mix of rare species of herbs. 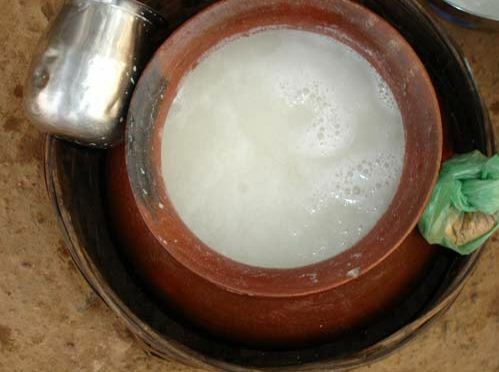 Xaj is the drink of the ‘Ahoms’. It is told in the folktales that a newborn is dipped in this beer to ward off evil spirits and bring good luck to the child. Guests are often welcomed with Xaj served in copper vessels. Have you ever been to Assam? How was your experience?